12x16x1 MERV 13 (MPR 2200) Pleated AC Furnace Air Filters. Box of 6 by Filters Delivered at Cooling and Heating Plus. MPN: 5265103529. Hurry! Limited time offer. Offer valid only while supplies last. 12x16x1 Air Filter for HVAC. Actual Size: 11-1/2 x 15-3/4 x 3/4. 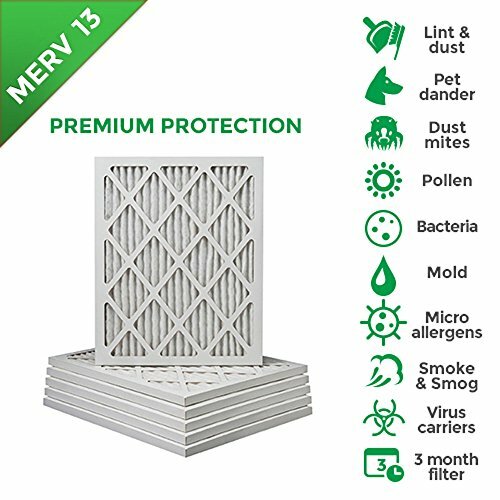 Filter Rating: MERV 13 | FPR 10 | MPR 2200. Sold in Packs of 6 | $7.99 per filter. Actual Size: 11-1/2 x 15-3/4 x 3/4. Protects from pollen, dirt, dust, pet dander and virus carriers, smoke, smog, lead dust, oil smoke and micro allergens.